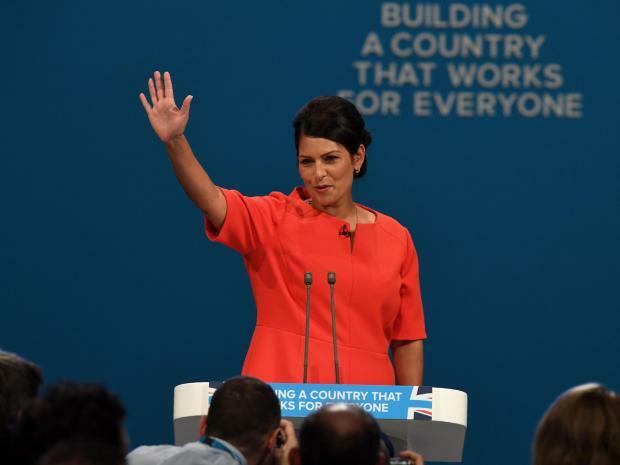 It has been claimed widely in the media that the resignation of the Secretary of State for International Development, Priti Patel MP is unprecedented; that the degree of division shown within the Conservative Party and Government is exceptional: that no other Minister has had to resign for undertaking a private Foreign Policy, unbeknownst to the Foreign Office, or indeed the Government. Such things just do not happen. Let us explore this proposition. We do not need to cast our minds back far to see the Conservative party split asunder over Europe, so we may surmise there may be something wrong with the general proposition that current events in the Conservative Party are exceptional. This kind of activity is not unprecedented; even the pursuit of an unofficial foreign policy is not unprecedented in Conservative history, and we need not go deep into the history of 17th century Jacobitism or the Glorious Revolution to recall division, panic-stricken behaviour or independent, unofficial policy-making in Tory ranks. The Conservative Party has form; indeed, this is the way Conservative Government tends to operate when under any pressure at all. The Conservative Party and its governments are subject to panic, while freelance activity is much closer to the Conservative norm in government than you may think. Freelance activity that is full of irony; in this current case, involving British policy in Israel, irony on an apocalyptic scale. Let us examine Conservatism’s real political past. Let us scroll back to that high-point of modern era Conservatism that the Conservative Party would rather we all forgot; and no, it isn’t Thatcher – let us remember the nineteen-thirties. The first ever Director of Research of the Conservative Party was appointed in 1930; Sir Joseph Ball (1885-1961), the first British ‘spin-doctor’. Sir Joseph Ball worked for MI5. Here are some of the activities with which it is alleged he was associated, all of it mysterious, most of it murky, or seedy, or worse; although interestingly a full accounting of his life and work has yet to be written; perhaps for fairly obvious political reasons. Who really knows what Joseph Ball may have done? I don’t, I merely try to identify here some of his cryptic appearances on the shadowy fringes of the historical record; with Joseph Ball reality is always going to remain elusive. He was not a man likely to leave an audit-trail. Historians are disarmed. Ball is largely “credited” with involvement in what is understood to be the forgery of the ‘Zinoviev letter’ by MI5 agents, and specifically for leaking the letter both to the press in 1924, and for delivering it to Conservative Central Office; four days before the General Election, a deft intervention that probably ensured the defeat of Ramsay MacDonald’s Labour Government. This probably made Joseph Ball’s reputation in the Conservative Party. Later in the 1920s he ran an intelligence operation for the Conservative Party that seems to have included running agents, even inside the Labour Party HQ. He was a master of black propaganda. In the 1930s he worked closely with the Prime Minister, Neville Chamberlain, especially from 1937 onwards. He was at the heart of the policy of Appeasement (a euphemism). He tapped Winston Churchill’s telephone after Munich, and provided Chamberlain with the tapes. Following the outbreak of war he effectively ran an independent Foreign policy operation, had contacts with both Nazi Germany and Fascist Italy; and attempted to negotiate a separate peace with Hitler through the Italians, before his freelance activities were curbed by Chamberlain’s resignation and the appointment of Winston Churchill as Prime Minister. Ball also seems to have had a hand in pushing the Jewish MP and Cabinet Minister, Leslie Hore-Belisha out of Government. Ball also secretly ran the virulent pro-Fascist newsletter ‘Truth’; which had far-right connections and has been described as ‘anti-Churchill, anti-semitic, anti-American and pacifist’. Pacifism and Ball, however were not natural allies. Under the Churchill Government it appears Ball was eventually and at least partly, sidelined around 1942. The people associated with Ball’s activities include an extraordinary cast of characters: such as Maundy Gregory (probably working on secret funding activities), Archibald Ramsay MP, anti-semite and member of the Far Right Club (who spent most of the war in detention, and was inexplicably not charged with breaking the Official Secrets Act), and the far-right diplomat and MP Henry Drummond Wolff (Ball arranged visits to Germany for Drummond Wolff to meet advisers of Hitler and Goering). After the war Ball was probably responsible for Guy Burgess being appointed by both the BBC and MI5. Ball was also responsible for the founding of Lonhro and for the appointment of Tiny Rowland as CEO; an achievement that became notorious as ‘the unacceptable face of capitalism’. This, at least seems to be Joseph Ball’s accumulated reputation, gathered from sparsely recorded accounts and elusive references. …an extraordinary admission of absent-minded historical research at the very heart of the Conservative Party, at the most critical period of its history, and offered by it’s leading historian. The word ‘enigma’ somehow does not quite convince; perhaps ‘dangerous’ would be more apt; but given the dark corners from which Ball would noiselessly and briefly emerge into public life, then sink back silently from sight or scrutiny, perhaps ‘sinister’ would be more resonant. This, then is a flavour of the nature of Conservatism: as it was then, and in the current chaos, as we see it now. In both cases erratic, subject to panic, given to facile but dangerous ideological dogma, open to freelance activities, and offering poor judgement of people. In this deeper sense the ill-judged words of the present Prime Minister perhaps accidentally illuminate something important about the true character of the Conservative Party: “nothing has changed”. So for a totally irrelevant history lesson read John Warren. Thank you, John Warren for this historical perspective. I think we have to remember that those at the heart of the Conservative Party are acting in the way their class has acted since the days of ‘robber barons’. They have an inbuilt presumption of the entitlement of their class and that whatever they do is right. The only ‘law’ is the law they make and enforce on the rest of us. While there is a hereditary aspect to this, the class sustains itself by recruitment. Ms Priti Patel is just one of a long list of such plenipotentiaries acting on behalf of the ‘establishment’. Of course, the Conservative Party is only one of the instruments. There are members within Labour and Lib Dems, the intelligence service, the higher echelons of the armed forces, senior civil servants, the boardrooms of big financial organisations, the City of London Corporation, the BBC and other broadcasters and the Press, etc. There are networks amongst the universities and the private schools. The funding of the Leave/Brexit campaign came substantially, unaccountably and illegally* from such sources. * This is an example of the ‘law’ to which I referred earlier. Rules about funding of political campaigns are for the ‘harmless’ candidates for whom most of vote, but these rules do not apply to the funders of Brexit, or Better Together’s underbelly. Bill Cash and others like him (the bastards) have been attacking the EU as long as I can remember, supported by the right wing press. Then a newer generation Smith, Fox and Gove have taken over the reigns. I see their argument, red tape, loss of sovereignty, etc, I think it’s hogwash, but I see it and its attraction to others, dog whistle politics. But I still do not know who was behind brexit, the above guys were not, they were the pawns. Who turned Johnson? What was he promised, why did he back down, why is he back in the running and who is pulling his strings? Who was responsible for Mrs May’s Florence speech and the posting of a time and date for brexit this week? The current uk government are not capable, who is keeping them in office? As for Patel, she is a light-weight lacking in intelligence. Her motivation for brexit appeared to be that EU workers could be replaced by Indian workers post brexit. The rational for this failed me in the respect that did Patel expect those whom voted leave principally on immigration lines would welcome a different wave of immigrants? In sum, I don’t think we know who is in control or where they are taking us!? Does anyone know if Patel was involved in the misuse of public funds, and so liable for criminal proceedings? Thanks. I’m also wondering whether any of the funds offered by her breach rules and conventions on probity. Do we know if our money was sent by her to the likes of the Israeli forces? Maybe this is public knowledge but I can’t bring myself to watch news programmes on BBC, Sky or ITV. Why is it irrelevant? The article highlights Priti Patel, a Conservative Minister who has just resigned over un-declared meetings with Israeli figures. The article then jumps into the career of a Conservative official active in the 1930s and 40s. Priti Patel, a woman of immigrant stock is of course out of the same stable — 70 years later. Pathetic drivel. It`s a conspiracy theory. Alasdair MacDonald is obviously unable to open his eyes even for a single moment and ask what elite support lay behind Remain? Well, lets just think, BBC, David Cameron, George Osborne, FT and Guardian, the Labour party hierarchy, virtually all the Scottish Tories, the CBI, the IMF, the OECD, the big banks, the City. But off course he is too blind to even consider that. Nothing can trouble his religious commitment to the EU. Your capacity to miss the point is impressive (the peroration in my last paragraph explains; try reading to the end). Unfortunately your rant about Brexit (!?) that centres on my opinion of the EU (!? ), and your bilious outrage about my supposed beliefs, is indeed a beautiful illustration of complete, comprehensive, thoroughgoing irrelevance. You have in fact provided a text-book example of irrelevance. You would think that someone who embarked on an argument to prove my “irrelevance” would have sufficient wit to avoid falling headlong into his own trap. It seems not. Mr Ross, your comments are irrelevant. Mr Ross, I did, indeed, vote remain as did many of those whom you listed as part of the ‘elite’ to counter my argument. However, you are missing the main thrust of Mr Warren’s article and my comment. The arguments within the current Conservative Government over Europe parallels the plotting against Mr Churchill, to which Mr Warren devoted some space. It is about a factional battle amongst the ‘self entitled’ for dominance. These factional disputes have been going on since the days of the ‘robber barons’. Mr Warren could have used the ‘Spycatcher’ case , where the intelligence services plotted against the government of Mr Harold Wilson. The members of these cliques feel that they are entitled to act above the law in their own interest. Ms Patel clearly went against the policy of the elected government and acted ultra vires. I did not vote for this government, but it is the elected government and Ms Patel was part of that government and subject to the collective responsibility. Mrs May met the Prime Minister of Israel, unaware that one of her ministers had had a secret meeting with him. Mr Johnson, as Foreign Secretary was unaware that one of his colleagues was undertaking foreign affairs discussion. What my opinions of the state of Israel, the PM or the Foreign Secretary are, are irrelevant to the fact that Ms Patel was acting without any authority other than her own and her backers. Mrs May ought to have sacked her immediately. This account does little to explain why UK foreign policy and practice under Conservative and Labour governments have been so similar and consistent throughout the last century (see, for instance, the accounts of historian Mark Curtis who has specialized in this area), which suggests predominating systematic rather than maverick influence. I do not believe that these positions are necessarily incommensurable (I have no axe to grind about Curtis, either way). I am arguing that it is the political parties that are protean and volatile, but that does not necessarily mean that all the institutions in Westminster change, at least in the same way. What is maverick activity within a party is not necessarily maverick activity viewed from a different institutional perspective in the wider world of Westminster. Generally the Conservative Party seems to have been much more open to these maverick influences than Labour, or the old and powerful Liberal Party; which is not to say that Labour or Liberals were not subject to uninvited maverick activity. The prevailing orthodoxy of the Conservative Party from the end of the war until Margaret Thatcher is now generally described by a disparaging term for its adherents; “Wets”. The radical change to the ethos of the Party was undertaken by a minority group of mavericks who alighted on the improbable Margaret Thatcher for ‘leadership’; and who was noted for her dogged and dogmatic beliefs, but not her ideas. The rest, as they say, is history; but whose? @John, supposing (as seems reasonable) then that parties are often divided, departments have rivalries, individuals can have foreign allegiances and/or be almost a law unto themselves; AND that we know little about these clandestine activities in and around UK government; WHY do accounts not surface more often? You mention that Ball destroyed most of his papers. In other words, beyond observing official secrecy, fear of embarrassment or prosecution or persecution, standard cultural norming, censorship, activities of the police and intelligence services, and so on, is there a sense of loyalty that is keeping the lid on this boiling kettle of potential revelations? And if so, loyalty to what something that persists and can be shared by so many apparently divided groups and individuals? Now these are really interesting comments. First, I do not wish to say that every maverick with an influence has a clandestine purpose. This leads me to a more important point, that I think you hurried over: culture. The power of prevailing culture is extraordinary. It acts a little like we may think of dark matter (supposing it exists); an unseen force, quite undetectable, that yet explains mass. Culture operates like that, but is poorly understood or explained. I am not sure I am articulating the idea well. Think of the power of the Churches (Reformed or Catholic) over the centuries; or the power of the State, especially in the 20th century. Some of that power was exercised through fear of punitive law, but much of it was not. This was power exercised without even being discussed; or where it was challenged it could be dismissed with relative ease. Conformity is everywhere; indeed many people think it necessary to order, stability and a decent life. I hesitate to raise the case of Harvey Weinstein here, but the question you raise about ‘loyalty’ should perhaps be recast in terms of submission; to an informal power that cannot adequately be challenged (or even described) – until it is. This kind of power is omnipresent, but often collapses very quickly from the smallest challenge. I mean this not just in the case of sexual harrassment, but in all kinds of areas of life. I am not doing justice to this here; it would take too long. I hope this provides a pointer. One more point. Where people do think someone is operating clandestinely for unknown purposes, the average person will typically not be sure of the facts. Such operations and the suspicions they attract are in the shadows. The difficulty in meeting a test of evidence, or the consequences of being wrong (for both sides) will inhibit the most fair-minded from acting. I do not pretend to have all the answers; but I can ask questions…. @John, I take your points. Taboos are powerful, and I believe Orwell said something about making certain kinds of dissent literally unthinkable. Loyalty-as-submission surely does have long roots in hierarchical societies. People presumably come into Parliament after their formative years, where conditioning factors cannot be nearly as strong as during, say, schooling. I recently read Christopher Browning’s Ordinary Men, where he tried to find out why mostly middle-aged men in a reserve battalion of Order Police who received little specific German Nazi indoctrination still carried out their tasks in the Final Solution (about a tenth with enthusiasm, a tenth avoiding the killings, the majority going along without enthusiasm). This is an extreme case, but the same group psychology of conformity to authority and reluctance to incriminate colleagues in later testimonies has been noted elsewhere. One dynamic he noticed was that behaviours seen as “weak” (refuseniks) reinforced those seen as “strong” (killers). In Parliamentary culture, perhaps “squealing” or whistleblowing is seen as weakness, in the odd way that moral courage often is. I hope I might be able to offer some assistance. Many people joining these institutions become institutionalised. The ethos becomes hegemonic. They begin to self censor and conform. It is wrong to reify institutions, but those working within them come to adopt common perspectives on many issues and begin to identify themselves with some of these perspectives. Often Ministers were described as ‘going native’, as they began to defend the stance of their departments against those of the government and the party on whose manifesto they were elected. This is not per se a ‘bad thing’ – it depends on the counterposed positions – but it ‘explains’ the self-perpetuation of particular paradigms. Given that those in the senior positions of such institutions tend to recruit from the same social class, people of similar perspectives, the means by which the hegemony is maintained is clear. Thank you. Your contributions and those of ‘Sleeping Dog’ (?) provided the kind of dicussion I was hoping my article may encourage. The Milgram experiment in experimental psychology in the US in the 1950s, on obedience to ‘white coat’ authority is another example at a more mundane level than high-politics; but was extremely telling of the underlying phenomenon. I think the experiment was repeated more recently, with little diffreence in the results, but I stand to be corrected. You may have missed this but when speaking about Brexit, I was directly addressing Alasdair. It is important to read what appears in comments. My comment on your article stands. You blather on about Mr Ball from the 30s and 40s. Priti is mentioned only in the first sentence and then the rest of the article is all about Ball. No logical connection is made to Priti. Very poor, and, I may say, irrelevant. My comments stand. I was replying to all your comments, wherever they randomly appear. Sadly, you are so bound up in your own overblown, underpowered opinion, you cannot even attach a reply to the right comment. And we have the problem? I explained why I made the connection between the Conservatives now and in the 1930s at the end of the article. If you had disagreed with my conclusions you could have engaged with the point I actually made, and challenged it. I have no problem with that, whether we agree or not. You don’t engage, that would require effort and clearly you have all the answers without thinking, or reading first; you just followed one ill-articulated rant with another. You have no argument; just the anger of the ‘Enragés’. Your comment rested on “irrelevance”, and you could not even meet your own standard. That is farcical. I do not intend to waste more time on this. In such cases I am content for readers to form their own judgement of our arguments. I rest my case. Your ” peroration” is not very convincing. I never addressed you regarding Brexit at all, and anyone who can read knows it. I am still waiting for a connection between Ball and Priti Patel. I will indulge one more response but you are now merely tiresome. Arguing that my peroration (which connected the current Conservative events with the past) is “unconvincing” is not an argument; it is an assertion. You need to make a case that it is unconvinving. That is how debate works. The comment section is not supposed to be an outlet solely for your vanity. The fact that you find my peroration unconvincing, Mr Ross is not in itself compelling; it presumes for your opinion a privileged authority that requires no explanation or justification; an authority that you clearly do not possess. It does not wash, so why you persist is beyond me. You then say I have not addressed the Ball/Patel point, that in fact is the peroration. I do not doubt that you do not like it, but why should I care? You do not seem to be able to interpret a broader argument, engage with it (even to debate it) or distinguish it from the obvious. You have written nothing of any interest whatsoever. I have indulged this pointlessness in the vain hope of finding a basis for a serious exchange of views. I have wasted my time. No more. You may now comment as much as you like, but I am bored with this windy pomposity. I leave you to it. I am quite prepared to acknowledge the reference to Brexit is not in the comment section. You did refer to Remain, and it is not relevant. However, when I received notice of your comment – by e-mail (from follow-up comments service) I was confronted with a comment which was identified as from you, and which did refer to Brexit and to my belief in the EU. I deleted it when I answered your comment. For that inaccuracy I apologise wholeheartedly, but I have no idea how that could happen. I replied to you (as I thought) and that is how it appeared. The references to Brexit and the EU do not appear anywhere in the thread, so I am at a loss to identify the comment I read. John Warren’s article was very interesting and pertinent. The Conservatives and the right wing and aristocratic elements which float in it do not change. In 1942 there was an attempted coup to oust Churchill and have an armistice with Nazi Germany. This was why Hess flew in to Scotland, to bring it all together. The unexplained death in a plane crash of the Duke of Kent was part of this. There was a good percentage of Conservative MPs and peers who thought nothing of betraying their country and its people in their life and death struggle against fascism. In 1942 there was a great deal of fascism within the Conservative party. There still is. That is why John Warren’s reference to past events, Brexit and the maverick minister in Israel is so relevant and prescient. What is Brexit but a betrayal? ” self-assertive” and “windy pomposity” just about sum up John Warren. Look at his three sentence “peroration”. After talking about Ramsay, Drummond and Burgess, he just states that “nothing has changed” in the Tory party. Nothing but self-assertive twaddle. You might as well go back to the 1930s Democratic party in the USA and state that “nothing has changed”. As for George Gunn, he is living in his usual fantasy-land. There are many diverse politic flavours in the modern Tory party but I do not see Fascism at all. There is no infallible leader, no corporate state, no estado novo. Fascists are against free markets. This is not the tradition of Hayek and Von Mises. I say this as someone who has never voted for the Tory party at a parliamentary election. Yes there were Tory traitors but the Communist Party supported the Nazi-Soviet pact. Were the parliamentary rebels of 1942 really traitors? I do not think so. The SNP did not have a brilliant early war did they? Or what about Hugh McDiarmid? George says that Brexit was a betrayal. Well I guess he should address himself to the 16 million people who voted Leave and also the more than one million Scots who voted Leave and the near majority of Scottish Leave supporters who were SNP voters. I do not live in a fantasy land, usual or other wise, Mr Ross. I suggest you look into the history of July and August 1942 a bit closer before you blow your trumpet. As to Brexit- the Tories used it as way to retain power no matter what. That they have made a complete arse of it is part of their practise, their purpose and their history. What, exactly, did 16 million people vote for? No-one in 2016 knew what they were voting for when they voted Leave because they were told nothing, or stories. That is the fantasy, if you are looking for some. In November 2017 we still don’t know what is coming, except it is going to be a bad, shambolic mess and it will be the poor, the weak, and the disadvantaged – as is the way of Tory schemes – who pay. We need more writers like John Warren to put things into context. You talk nonsense about Brexit. What I and 16 million others voted for was to leave the EU meaning to leave the EU treaties. We knew full and well that the route to do this was through Article 50 of the Lisbon Treaty. That is exactly what we are doing, and nothing else. To return to 1942, were the parliamentary rebels of that era traitors? Part of the EEA or part of EFTA or part of neither. The right of free movement. The right of foreign EU citizens to remain or be deported or the right of British cotizens abroad to remain or be deported. The repatriation of powers, which powers, on whole, in pat or not at all. The sharing of inteligence especially with regard to terrorism The cooperation between police forces across Europe. The Good Friday Agreement and the hard or soft UK – ROI border. The divorce payment due to or by either party. The passport of financial services. Yes William Ross, it was all spelled out or are you just an agent of Fake News. I see the Daily Express is frothing at the mouth and headlining that Alex Salmond is close to treason for anchoring a chat show on Rt. Perchance oor Alex could end up in incarceration like half the Catalonian cabinet. In fact what a good idea. H Blocks where we could keep similar separatists with evil sedition on their minds. That would put their Indy nonsense at a peep – eh what! The Express certainly knows how to intellectualise an argument. This article does rather raise the question of the ongoing relationship between the Conservative Party and MI5. Is the Conservative Party merely the ‘political wing’ of MI5 and/or its paymasters? Or is MI5 the …… wing of the Conservative Party? To what extent have ‘they’ infiltrated other political parties, including the SNP? Was Patel’s ‘rogue’ action not more reflective of that of an ‘agent’ rather than an MP? Is May her real boss? Was she sent to Israel by her real boss, who is not May? Was Mrs Zaghari-Ratcliffe in Iran to train journalists? If so, who sent her there? How did Boris Johnson simply ‘erroneously’ assume that to be the case? Was Scotland’s independence referendum in 2014 ‘fixed’, and if so, how? Was ‘Better Together’ really run by MI5? @Alf, presumably one of the jobs of UK state intelligence is to monitor the nation’s holders of high office, to prevent them from being nobbled, blackmailed or subverted by foreign powers. With all the state surveillance of the general public, it would be odd if they did not know of a minister’s meetings (in advance) with representatives of a foreign power, which presumably would be reported back to the Prime Minister as a matter of course. So their absence from the official Patel story does raise such questions. And official secrecy about official secrecy is the serpent eating its own tail that strangles democracy in the constrictions of its coils. I see that Willie has challenged me on the extent to which Leave voters knew what they were doing …. poor unsophisticated souls. But I do have some sympathy for Willie`s general point. It is hard to take the decision to secede from a sovereign entity ( like the EU or the UK) and know what exactly your final deal will be. But off course that was doubly true in 2014. I voted YES, but did not really know what would happen to nuclear weapons on the Clyde, whether we would be in the EU or not, or what currency we would use. The Leave decision was much more certain, but not totally so. That said, lets look at Willie`s points. 1. EEA or EFTA? Definitely not EEA — that would involve continuing EU law, ECJ and free movement. EFTA alone is a decision for a future independent sovereign UK (or Scotland) Personally, I like EFTA, but not sure they would accept the UK. 2. Free Movement, treatment of EU nationals. Free movement is definitely ending. Pre-Brexit EU nationals will have full rights to stay in the UK under a visa scheme. No Brexiteer ever suggested otherwise. Concerns are Remainer narcissism. 3. Repatriation of Powers. I hope for as much as possible to Holyrood. That will have to be a political decision. I am just glad that none of the powers will remain in Brussels. 4. Sharing of Intelligence/Collaboration. Surely both UK and EU have an interest in making this work, especially when the UK plays such a lead role in defending the continent of Europe? 5. The Good Friday Agreement/Ireland border—- So far as I can see there is nothing to stop the UK and Ireland continuing with the old CTA. Ireland can decide its immigration policy with India, why not with a Brexit Britain? The real problem is the passage of goods. This is being worked on. It would be good to see more collaboration especially from Ireland. It would also be good if the EU stopped trying to change the constitutional position of NI, by, eg, insisting that it stay in the Customs Union. 6 Divorce payment. No-one could know beforehand what this might amount to for the very good reason that there is probably no legal liability at all. Frankly, I am not much bothered providing we get something from it and a transition period is short with clear objectives which honour our decision to Leave. On the other hand, if there is no trade deal we pay nothing. That’s good as well. 7. Passport of financial services.– important for the City but equivalence will do as well. The EU needs London finance, and “No” Frankfurt and Dublin are not attractive places to move to. I work with the City often and stories of 100,000s of bankers leaving are Remainer fiction. Sorry Willie, you’ll have to do better than that. Fake News William, it just oozes out of your goods elf. No one has a clue what the leave deal is, least of all the hapless May and her dwindling band of morons. Jeepers, it was only a month or so ago that one of her half wit ministers was saying that security inteligence was something that was worth money, and something that the UK would not share with other EU countries unless it got a suitable exit deal. It’s a Flying Circus with May’s trapeze, artists in utter disarray, and no amount of Fake Guff can hide the reality. If you are attacking this government as being incompetent then I must agree with you. When even Fraser Nelson and Charles Moore are attacking the Conservative Government, there is something wrong. I have never voted for the Conservative Party at a parliamentary election. I am just an SNP supporter. But I do have some sense of fairness, balance and reality.